The Bowls Club is situated on Repton Road, Willington. DE65 6BX Under the bridge from the Cross Roads and 25 metres past the Kitchen showroom. 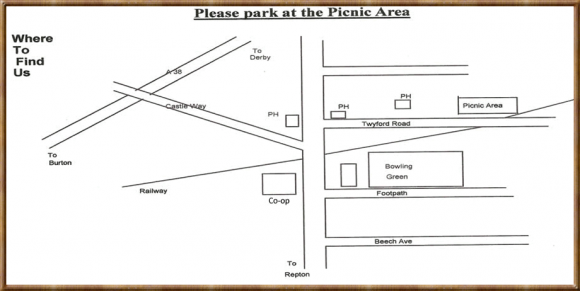 If you are coming by Car please park in the Picnic Area car park.